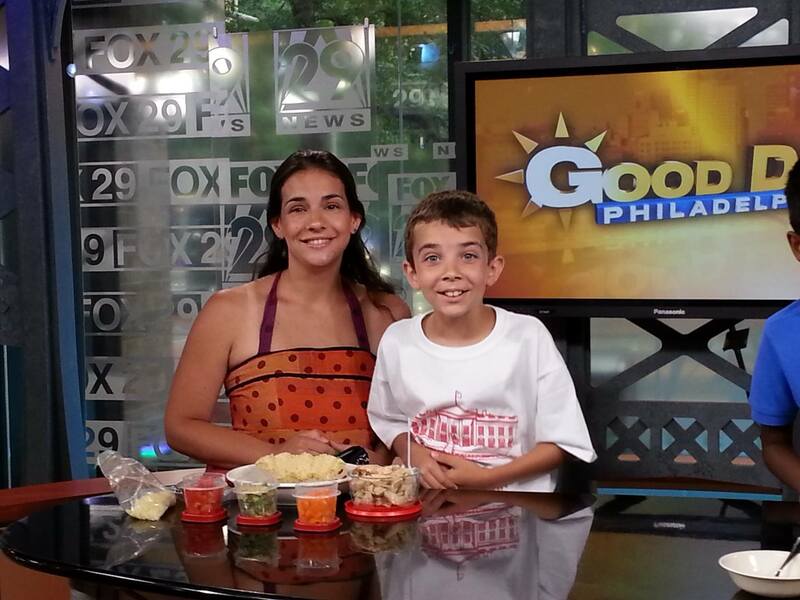 I was on Good Day Philadelphia today which is a show you can watch on Fox News. I met a lot of people including Mike Jerrick, he is a news anchor. Ganesh, the winner from Pennsylvania was on also. We had our winning recipes with us and Mike taste tested them. He really liked my dish the Tortilla Bowl Deluxe. Mike Jerrick is very funny. He made us laugh. It seemed to go very fast and it wasn’t as hard as I thought it would be to be on TV. You were AWESOME! Wish we could have tasted it like Mike! Ha ha that is fun, maybe I can come to work with Mom and bring some. I watched it, I loved it…You were great and so was Mom…So happy for you !